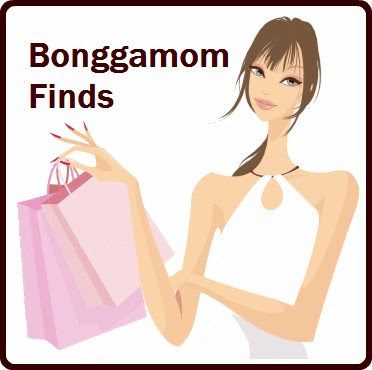 Finding BonggaMom: What's in my bag? I've been meaning to post something like this for the longest time... now the good folks over at Maya's Mom have given me the perfect incentive with this week's Maya's Mom Photo Challenge. G: and my car and house keys (not shown in photo, because I'm at home and my keys are somewhere around the house). Stuff like that, just things that come and go each time I leave the house. 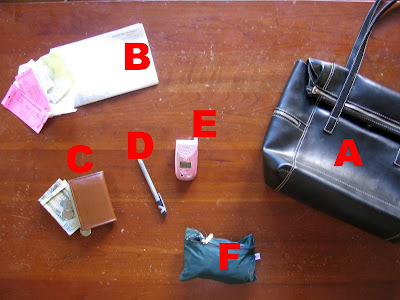 Only items A through G remain constant. So even though I don't know what extra thing I'm going to be carting around with me, I do know I need the extra space for it. OK, you are just too organized! :) Nice handbag!